*Please note this post was written prior my gluten sensitivity discovery. The soup is gluten free, however the bread is not. If you can eat the ingredients in Heidi’s recipe, great! 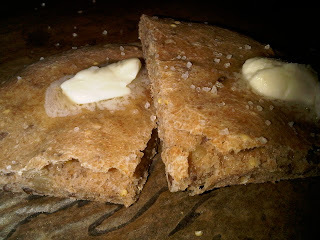 If not, you can head over to my rendition of a gluten free seeded flatbread. The week after Christmas is always a challenging food week for me. For the days surrounding Christmas I inevitably let myself eat-are you ready for this- whatever I want. Seriously! If it’s a quinoa salad, fantastic!, but it typically means I am indulging in things such as- shrimp, plenty of fromage and baguette, any chocolate that appears within a 5 ft. circumference of my person, pastas, sweet potato soufflés, crusty rolls and then there’s the cookies! And the desserts! My, oh my, oh my. Coming off that food high, meals can certainly present themselves to be a challenge. Regaining that self control and remembering that you need to eat things like quinoa and fresh vegetables and fruits in order to not feel like a sloth can be a challenge after eating things like flourless chocolate cake, cheesecake, fruit tarts and the like. Enter a fabulous soup and a fabulous bread. Oh, yes, I said bread (for all you “atkins” fanatics here’s a good life tip for you-bread is NOT evil and can be incorporated into a healthy diet. Period. End of story). And this soup is like none other….it’s chunky and creamy, it’s nutty and sweet and it will fill you up my dearies. I guarantee you will NOT be hungry after eating this meal! And the added benefit of preparing soup is that it makes a large amount so you can portion it out and have delicious meals the remainder of the week. That is, until New Year’s Eve arrives and you are bound to gorge-yet again-on some fabulous libations and scrumptious cuisine. 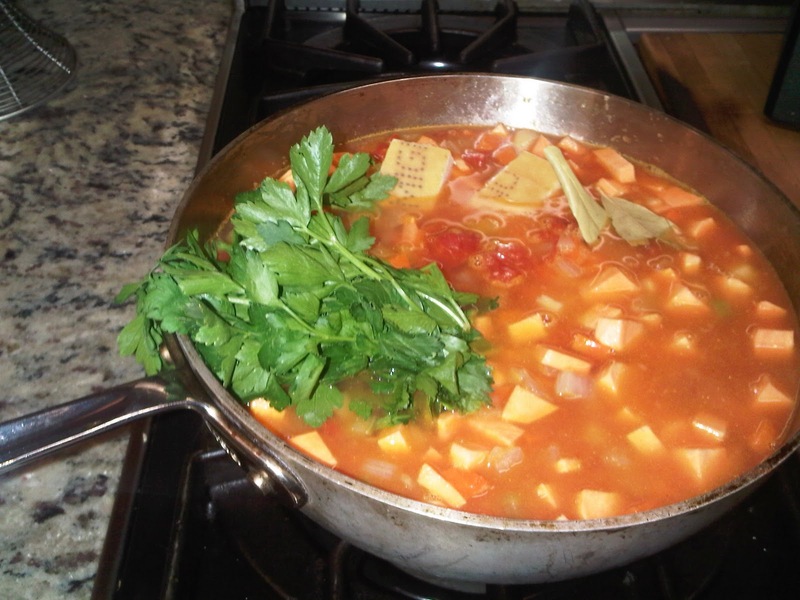 The other benefit of making winter soups is that root vegetables are very inexpensive this time of year (wink, wink- a benefit of eating seasonally). So do your wallet and your waistline a favor and prepare this comfy soup and bread. Enjoy the healthy and oh so enjoyable aspect of eating this way…..that is until New Year’s Eve! Heat a medium-large soup pot over medium heat. Add a healthy glug of olive oil and add the first four ingredients. Saute until just softened, about 7-8 minutes. You don’t want a lot of browning here. Add the garlic and another little glug of oil, sauté 30 seconds until just fragrant. Sprinkle the flour over all vegetables and stir to coat. Cook 1-2 minutes until the “flourey” flavor cooks off. Add the wine all at once and stir until a thick sauce forms (this will happen very quickly) then add the tomatoes and stir to combine. Pop in the sweet potatoes, parmigiano rind, bay leaves, parsley, thyme and enough water to cover the vegetables by about 2-3”. Cover and cook 30-40 minutes until tender. Season with salt and pepper. After the 40 minutes scoop out 1 cup of the soup into a tall heat safe container and puree to a smooth mixture using an immersion blender (alternatively you may use a stand blender but be careful with the steam as it can cause the lid to pop off). Add the puree back into the soup and stir to combine. Finally, add the zucchini, kale, beans and cook another 10-15 minutes covered. When ready to serve add a nice sprinkling of parmigiano to finish. This fabulous bread recipe is from Heidi Swanson’s website, I used the recipe as a base but added whatever I had in my pantry rather than following the recipe to a T. I used a mixture of half spelt flour-half all purpose flour and use sesame seeds with wakame, millet, amaranth, sunflower seeds and pumpkin seeds as my mixture. I also eliminated the mustard seeds. Of course, topped with chunky sea salt and butter fresh from the oven is the best way to finish! Kendra ~ I am questioning your use of spelt flour…. My husband is celiac, and I’ve been told he CAN’T have spelt, as it is a type of wheat product, therefore is not gluten free? Thank you for your question, it’s a good one! 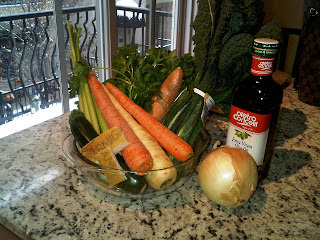 I discovered my body’s challenge with processing gluten in December of 2011, so unfortunately any recipes posted prior that are not guaranteed to be gluten free. So I apologize for that confusion, but thank you for reminding me that I need to make notes of that on those blogs! Most likely will tackle that today.